1. Add the mango pieces to a blender and blend for 30 seconds. 2. Add the banana, orange juice, milk and honey. 4. Transfer to a jug and keep it in the fridge for 1 hour or until chilled. Tip: You can also add ice cubes if you do not want to keep it in the fridge. 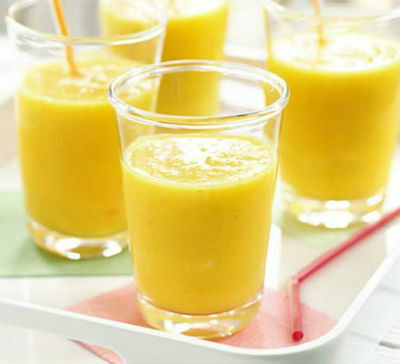 Feel free to comment or share your thoughts on this Mango and Banana Shake Recipe from Awesome Cuisine.